Chile has a longstanding democratic tradition and is today amongst the world’s freest states, but between 1973 and 1990 Chileans endured a period of hash military rule. (Freedom House 2017) Chile’s transition back to democracy bears the marks of its authoritarian past stemming from the critical transition period. Typically, for a democratic transition to produce a stable government and open society in the long run several factors are important. When transitioning back to democracy the endurance of an institutional framework is critical. (O’Donnell 1986, 22) The transitions that follow a pacted model, marked by elite cooperation, compromise between actors, and a clear role for the military yield, as witnessed in Uruguay, holds greater prospects for democratization. (Karl 1990, 9) Additionally, it is critical that societal reparations are made and the settling of past accounts do not complicate the process. (O’Donnell 1986, 32) The nature of Chile’s regime, notably in the years immediately following the 1973 coup presented considerable challenges during the democratic transition. Chile held its first post-transition elections in 1990, however the transition was far from complete. (Garretón 1999, 2) The new democratic regime was relatively weak. The new constitution guaranteed impunity for members of the authoritarian regime, and granted Pinochet himself a lifetime position in the senate, tainting the democratic regime with Pinochet’s legacy. (Garretón 1999, 3) The weakness of the transition can be attributed to the nature of Pinochet’s regime. First, the use of extreme violence by the regime eliminated the organization capacity of opposition forces. Additionally, the personalized nature of the regime undermined the institutions of the previously existing government. Second, because the opposition was weak during the transition period, political elites were able to dictate the terms of the transition, exonerating themselves of the previous regime’s crimes and granting Pinochet a political position. Finally, the military’s interests were intertwined with those of the political elite, proper reparations were not made, trust between the military and civil society remained scarce. This schism in Chilean society exposed itself when Senator Pinochet was arrested in London in 1998. Chileans and the rest of the world expressed relative contentment with his arrest, while it outraged a minority of powerful political elites. 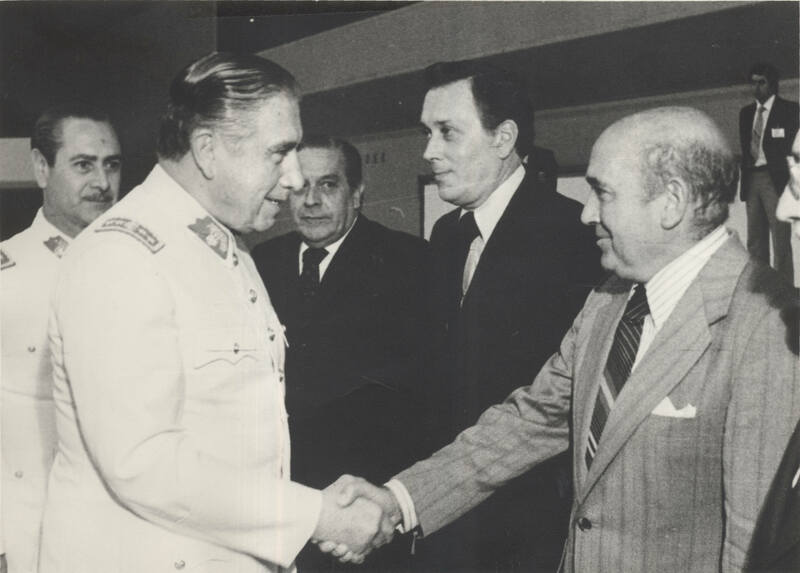 The reaction of the Chilean government reflected the latter, a clear indication of the persistent legacies of Pinochet’s regime a decade after it was removed from power. (Garretón 1999, 8) The Chilean case is a clear example of how authoritarian influences can affect prospects for democracy in the long run. Garretón, Manuel Antonio. “The Political Evolution of the Chilean Military Regime and Problems in the Transition to Democracy.” Transitions from Authoritarian Rule. Ed. Guillermo O’Donnell, Phillipe C. Shmitter, and Laurence Whitehead. Baltimore: John Hopkins UP, 1986. 95-122. Print. Gillespie, Charles C. “Uruguay’s Transition from Collegial Military-Technocratic Rule.” Transitions from Authoritarian Rule. Ed. Guillermo O’Donnell, Phillipe C. Shmitter, and Laurence Whitehead. Baltimore: John Hopkins UP, 1986. 173-95. Print. Karl, Terry L. “Dilemmas of Democratization in Latin America.” Comparative Politics (1990): 1-21. Print. O’Donnell, Guillermo, and Philippe C. Schmitter. Transitions from Authoritarian Rule: Tentative Conclusions about Uncertain Democracies. Baltimore: Johns Hopkins, 1986. 3-47. Print.